Check out Tobi's So Long Hoop Earrings Take your jewelry to the max with the Gold So Long Hoop Earrings. 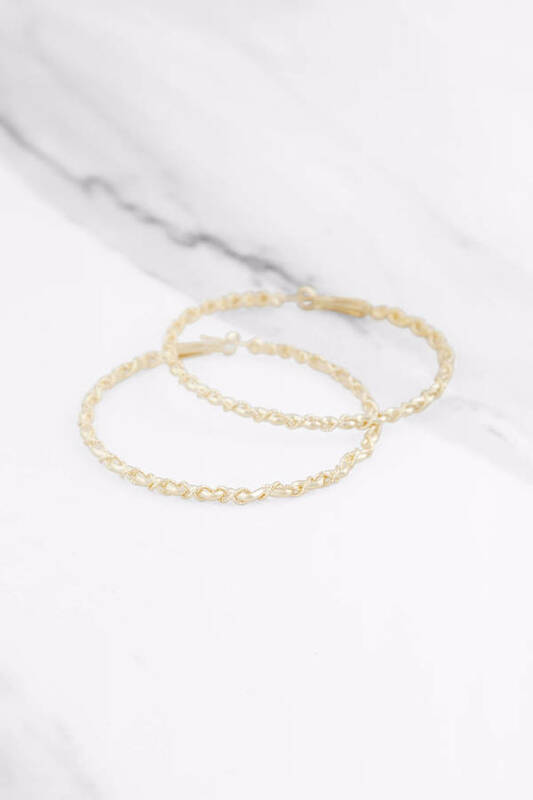 The gold tone hoop earrings plait together thick and thin metal strands for a textured rope effect designed to catch the light. We love these oversized gold hoop earrings with an off shoulder knit to bling up sweater weather. 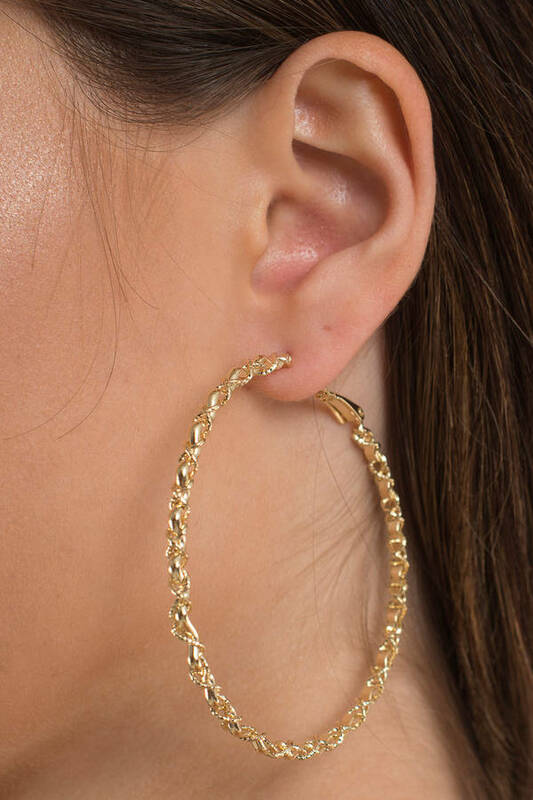 Take your jewelry to the max with the Gold So Long Hoop Earrings. The gold tone hoop earrings plait together thick and thin metal strands for a textured rope effect designed to catch the light. We love these oversized gold hoop earrings with an off shoulder knit to bling up sweater weather.